CCFSA was proud to honor Rep. Jay Case on 4/4/18 with the Family Legislator of the Year Award. 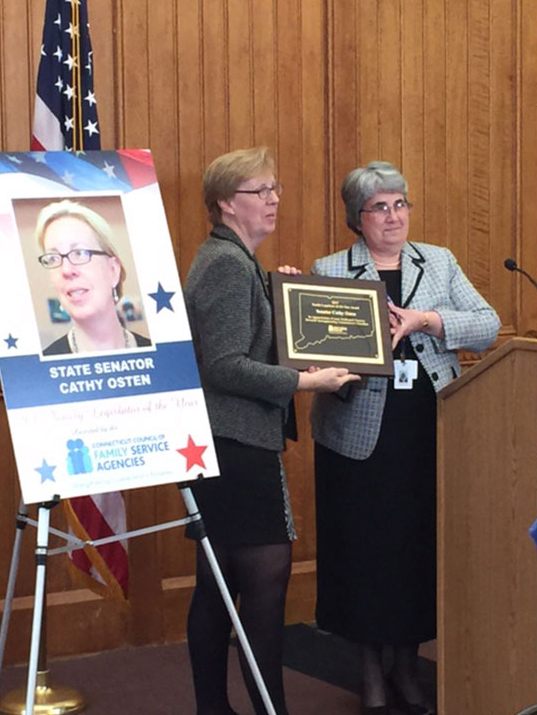 Rep. Case said, “It is an honor to be named Family Legislator of the Year. CCFSA does an amazing job providing educational resources and programs to Connecticut’s diverse and growing number of families. Ensuring funding is available for such programs are legislative priorities of mine. In addition to services, CCFSA leads advocacy efforts, on behalf of their membership, about the importance of programs that serve and support the state’s most vulnerable children and families. It is a pleasure to work with CCFSA and its Member Agencies to connect people with life improving services.” Click here to read the official press release. 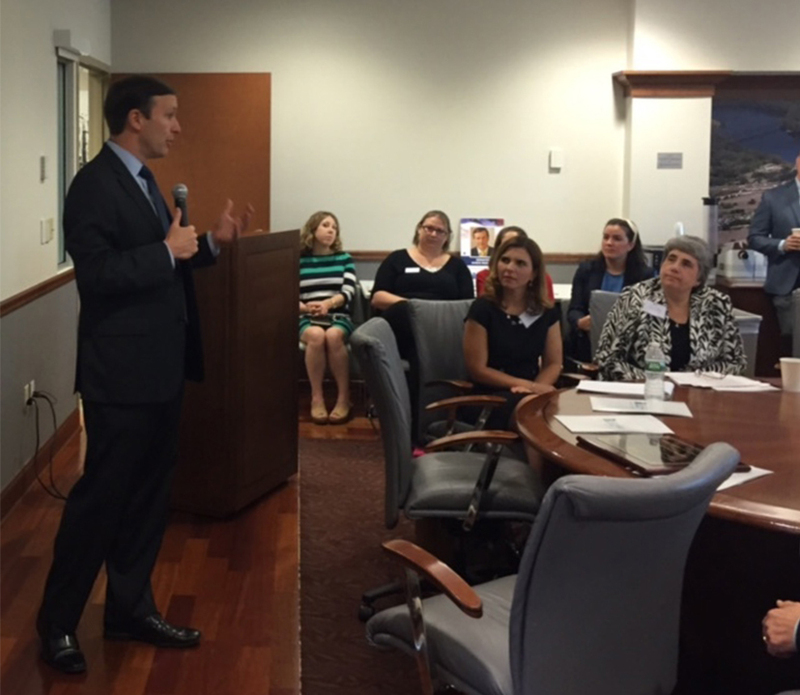 The CT Council of Family Service Agencies (CCFSA) honored Senator Chris Murphy with the Federal Legislator of the Year award, in recognition of his exceptional efforts to support the mission of CCFSA to strengthen Connecticut’s families. 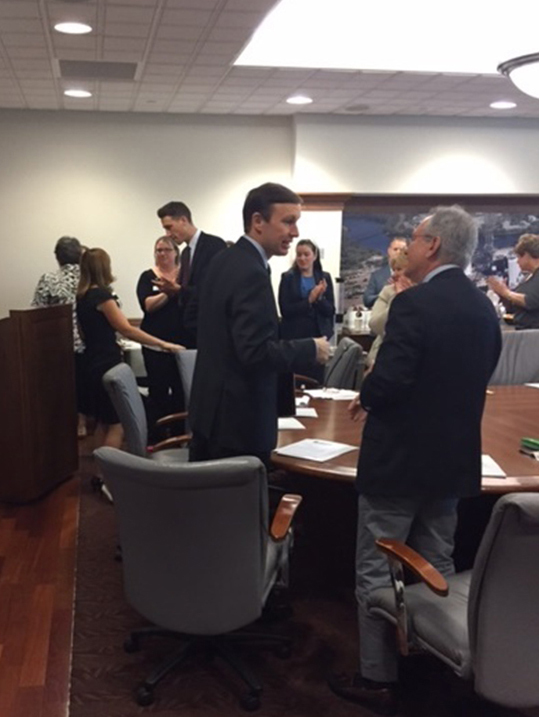 Senator Murphy consistently demonstrates exceptional advocacy, dedicated service and an unwavering commitment to the health, safety and well-being of CT residents through his leadership in the Senate. Senator Murphy serves on the Appropriations Committee, the Health, Education, Labor, and Pensions (HELP) Committee, the Foreign Relations Committee, and the Democratic Steering & Outreach Committee. He is well-known for his leadership on many issues, including his introduction of bipartisan mental health reform legislation, efforts to pass comprehensive anti-gun violence legislation and his work to improve access to vital addiction treatment services to combat the opioid epidemic. 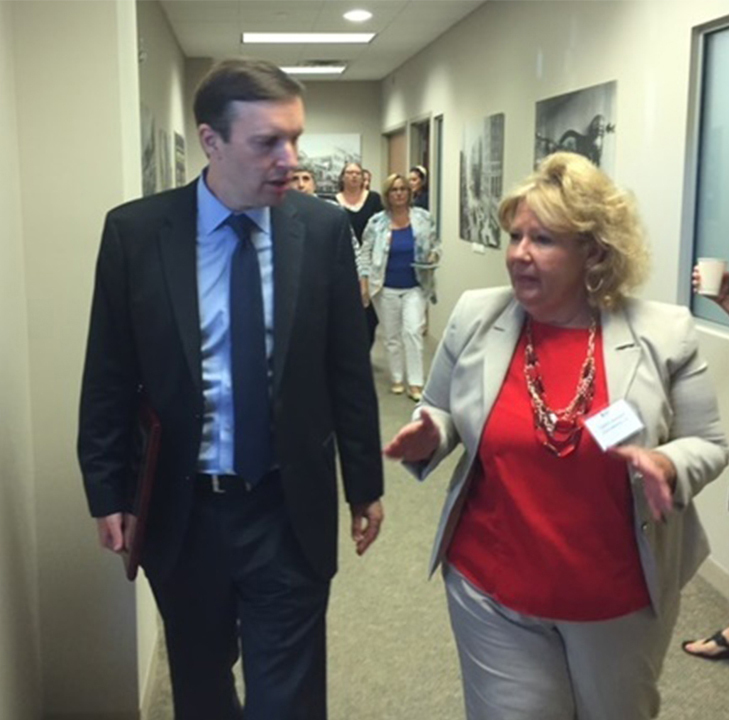 “Senator Murphy is a true champion for human services and in particular for the essential mental health and addiction treatment services provided by our network of family service agencies. Senator Murphy has led the fight for access to quality behavioral healthcare that prevents crisis, provides care and keep people healthy. He’s stood up for the safety of children and families by taking historic action against gun violence. 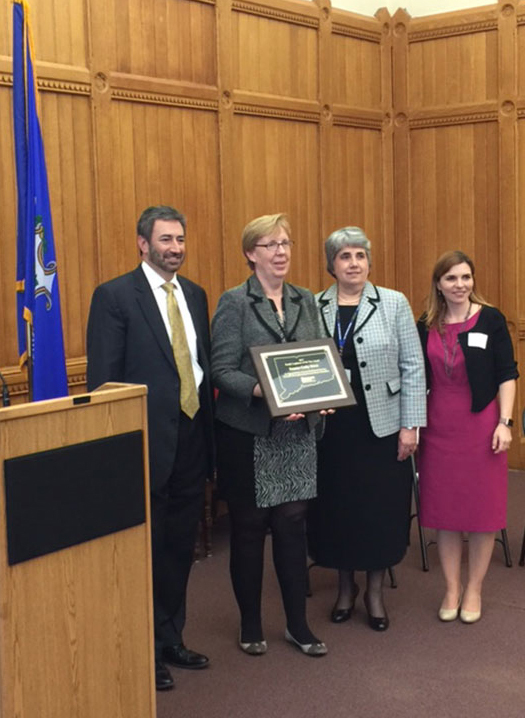 The CT Council of Family Service Agencies is proud to honor Senator Murphy for his exceptional advocacy, unwavering commitment and dedicated service to the children and families of CT. CCFSA is honored to have Senator Murphy representing us and fighting for the hundreds of thousands of vulnerable people we serve throughout our system,” said Alyssa Goduti, President and CEO of the CT Council of Family Service Agencies. Annually, the Council recognizes one Board Member and one staff member from each of our member agencies as Family Champions for consistently going above and beyond the call of duty responding to the needs of families served by their agency. This celebration is a joyous occasion to honor thirty individuals who are the "best of the best" in the field of family services in CT.
To celebrate these family champions we first recognize that it is a person’s individual talent, skill and dedication that changes lives forever. Each of the councils 2016 champions achieved this honor in their own personal way, by demonstrating the best of what their agency has to offer, consistently giving more, reaching further, and taking bold steps to strengthen and improve the lives of families throughout our state.